Anything else you'd like to add: Even though Mila is still very anxious, she has developed a playful, curious personality. When she gets very excited about something she does a happy dance and howls a song. 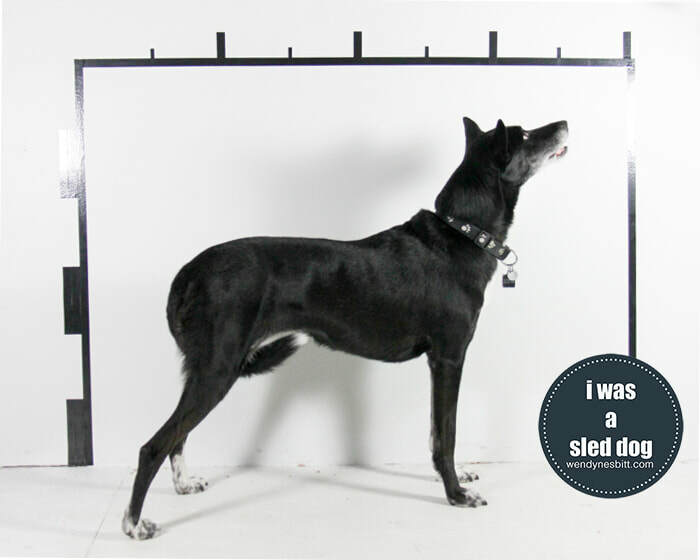 For some of the sessions there were multiple sleddies in my studio - and because I was taking my cues from the dogs during these sessions by photographing whoever I could get, whenever I could get him/her, I got Mila and her brother Charlie mixed up in a couple photos. In all fairness, I had never met these sleddies before - only a couple photos on line - and they look pretty similar at first glance. Of course, once you get to know them, you discover that even though they may look similar, they are different inside... I was schooled by my own project. 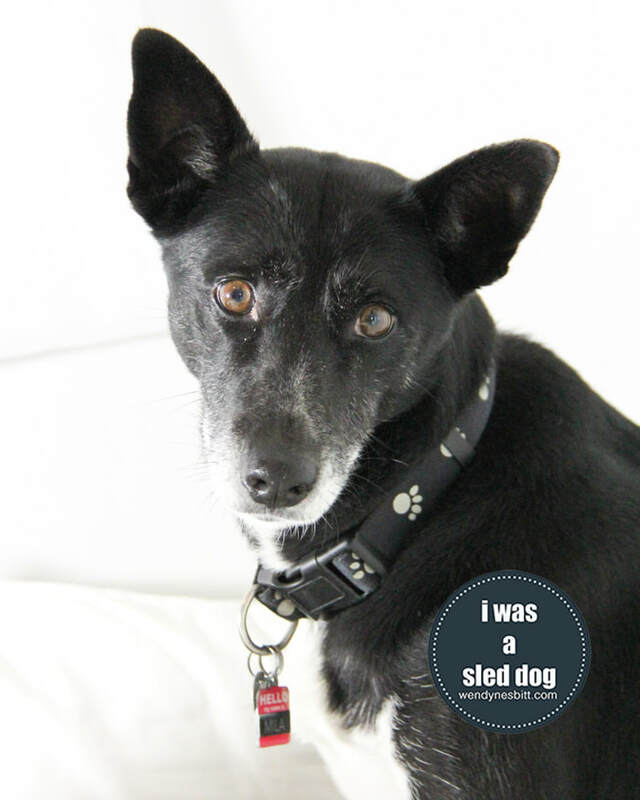 Mila has a pretty serious tail tuck in her photo (as did Charlie), but their humans along with having each other there made it all tolerable and fun times were had after the session when we all went for a walk in the woods with some new sleddie buddies.